The Vermillion cliffs, as seen from U.S. Highway 89A in northern Arizona. 1989 & 2010.
by James (Jim) Wells, Ph.D. Unlike many students, I lacked a dissertation topic when I first entered the Department of Geography’s PhD program at Kansas State University. All I really knew was that I wanted to study the cultural dimensions of the American West. After some aborted proposals revolving around the tourist draw of state high points (Arizona’s Humphrey’s Peak, for example) , I took a qualitative field methods course and discovered the wonders of using repeat photography to measure landscape change. Professor Sebastien Finsterwalder of the Technical University of Munich, first used the method to measure glacial advances and retreats in Switzerland during the late 19th century. In 1965, James Hastings and Robert Turner brought the practice to North America in their analysis of changes in Sonoran Desert vegetation over a period of fifty years. Today, one can find repeat photography being used across a variety of academic fields, as well as in popular culture (see, for example, the Then and Now series covering every major city in America). Having read and loved Thomas and Geraldine Vales’ U.S. 40 Today, a 1980 “rephotography” of over 110 sites between Atlantic City and San Francisco originally documented by renowned author George Stewart during the early 1950s, I knew I wanted to conduct a linear study that documented a cross section of the West. 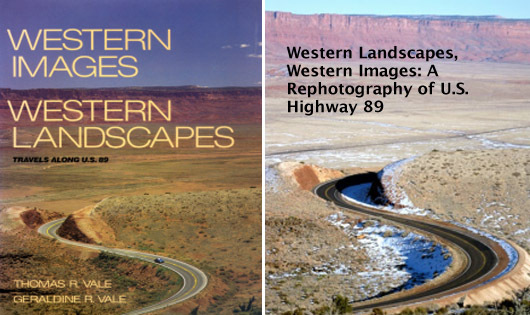 After an exhaustive search, I chose and received permission to reproduce the original images from Western Images, Western Landscape: Travels Along U.S. 89, also by Thomas and Geraldine Vale. Though published in 1989, the Vales conducted their photography for the book between 1982 and 1984. 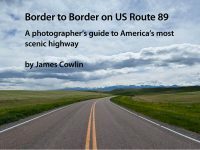 Between March 2009 and January 2011, I revisited all fifty-three images between Nogales, Arizona and the Port of Piegan Inspection Station on the border of Montana and Alberta. The experience has proven to be incredibly rewarding, both academically and personally. 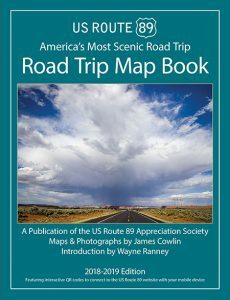 U.S. 89, including its now-decommissioned portion south of Flagstaff, is a road of intrigue, contrast, and beauty, and it is easy to understand why it has its own appreciation society. After spending nearly eighty days along or near the highway, I came to realize that this was where I wanted to live after the conclusion of my studies. Thus, hopefully as a springboard to a longer career in the West, I am now a seasonal park ranger at Utah’s Goblin Valley State Park. St. Mary’s Basilica in downtown Phoenix, at the intersection of what was once U.S. 89 (now East Monroe) and 4th Street. 1982 & 2010. Facing east, across the Tempe Canal and the Tempe/Mesa city line, along the former route of U.S. 89. Currently, the road is labeled Apache Boulevard East (Tempe) and West Main Street (Mesa). 1982 & 2010. This green space is only part of a larger trend throughout the Phoenix metropolitan area. Over the past decade, the Maricopa Association of Governments has diligently worked to improve the region’s non-motorized accessibility. As of 2009, more than five hundred miles of walking paths, as well as biking trails and routes wound their way through the urban area, in addition to the new and widely popular light rail system that is expected to expand into the West Valley Suburbs in years to come. By chance, the Vales photographed a location at the Tempe-Mesa city line, at which both a bike trail (The Tempe Canal Path) and stop on the light rail can be seen. Another significant finding of the dissertation has been the transition of many small town economies to the service, and more specifically tourist, sector. The advent of internet advertising has allowed communities previously off the tourist radar to attract visitors eager to see natural and historical landmarks alike. In some cases, such as Utah’s Paiute ATV Trail and the Mormon Pioneer National Heritage Area, several cities and counties are coming together, along with cooperating federal agencies, to increase visitor traffic. Facing northwest, across the Arizona/Utah border along U.S. 89. 1983 & 2009. The even more recent “Life Elevated” sign was placed in 2011, after the conclusion of fieldwork. The heightened interest in tourism at the start of the 21st century can be observed in the photographic pair of Utah’s welcome sign. The non-descript black signs were replaced by the Olympic-themed billboards in 1998. After a 2006 national survey revealed the majority of Americans to be unaware of Utah’s major attractions, however, the state’s office of tourism made the decision to again replace the imagery of the signs. Each major entrance into the state now boasts a different image. 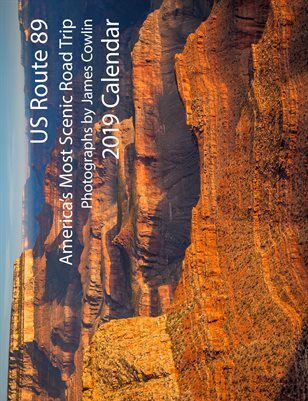 Drivers crossing into Utah from Colorado along Interstate 70, for example, will see a picture of Arches National Park. Along U.S. 89, the imagery is of nearby Lake Powell. Downtown Panguitch, Utah. 1983 & 2009. The effect of the tourist influx upon the smaller communities of the West was best depicted in the photographic pairs of Panguitch, Utah and Afton, Wyoming. In both cases, traditional downtown businesses have been replaced by souvenir shops, art studios, and a diverse selection of restaurants. Debates exist in local newspapers and political discussions regarding whether low paying service sector jobs can serve as long term replacements for the decline of primary industries observed throughout the West. It should be noted, however, that the grocery stores, banks, auto parts dealerships, and pharmacies depicted in the 1983 photographs still exist (though generally under different names and owners) in, or within walking distance of, the central business districts. Looking East, into Montana’s Little Belt Mountains, from a vantage point near the summit of King’s Hill Pass and the Showdown Ski Area. 1984 & 2009. Although changes in the physical landscape along Highway 89 proved to be the exception rather than the rule, the images of Montana’s Little Belt Mountains served as one such exception. Here, two processes can be seen to be at work. First, there has been obvious forest regrowth on a plot of land logged in the early 1960s. A nearby interpretive display makes the argument that sustainable forestry is a great benefit to the country and creates temporary landscapes not unlike the natural meadows created by forest fires or landslides. Unlike conditions on the nearby ski slopes, the trees here will eventually return. While there is certainly truth to this, it is interesting to note that even though more than eight million board feet is harvested from Lewis and Clark National Forest each year, no other deforested zones could be viewed from U.S. 89. Once the regrowth here has rejoined the greater forest matrix, will the interpretive signage be removed and all forestry activities shifted behind roadside buffers? Also visible in the 2009 image, in the form of many dead or dying trees, is the recent impact of the mountain pine beetle (dendroctonus ponderosae). The species is native to the region, and periodically reaches maximum destructive capacity during particularly warm years. Though more recent cold snaps have lessened the insect’s damage, the latter half of the previous decade witnessed four million acres of forest destroyed per year in the West: a number greater than even that caused by forest fires. In Alberta and British Columbia, 21 million acres had been killed off by 2006, and in 2008, officials in British Columbia reported that more than 50% of the province’s marketable forestland had been destroyed. To the east, outbreaks have been reported in the Black Hills and Nebraska National Forests. In the worst case scenario, the infestation could either continue spreading across the sporadic forests of the Great Plains, or bypass the region entirely by spreading through Canada’s boreal forests, and affect the entire North American continent within a decade. More on the natural resources of the West, as well as on the region’s parks and protected lands (including other national forests) are discussed in my dissertation. Other topics include border landscapes, Native American communities, and suburban expansion. I hope you’ve enjoyed this sampling of my project! 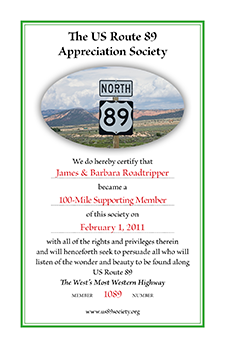 I certainly enjoyed conducting the research and experiencing all that U.S. 89 (past and present) has to offer.